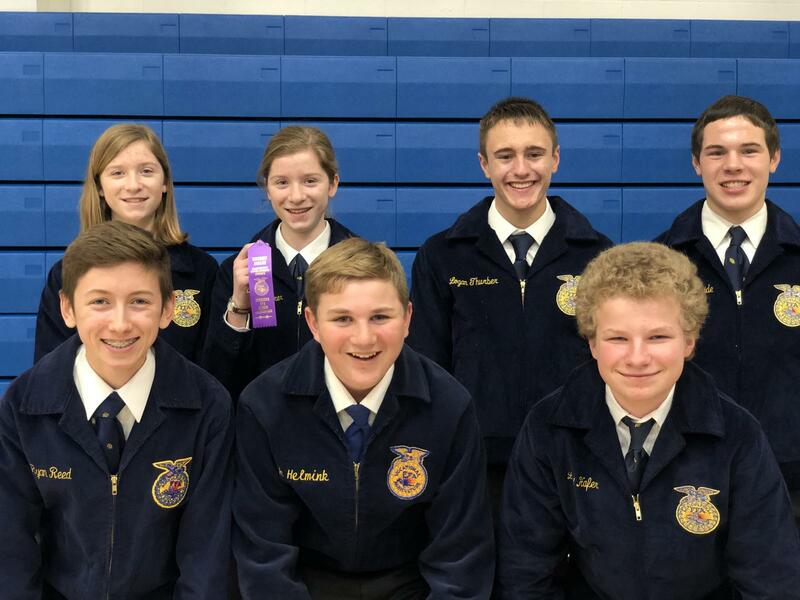 The Norris FFA chapter traveled to Beatrice, Nebraska on January 29th to compete in the District Leadership Development Events. Norris brought a total of thirty-one members to compete. 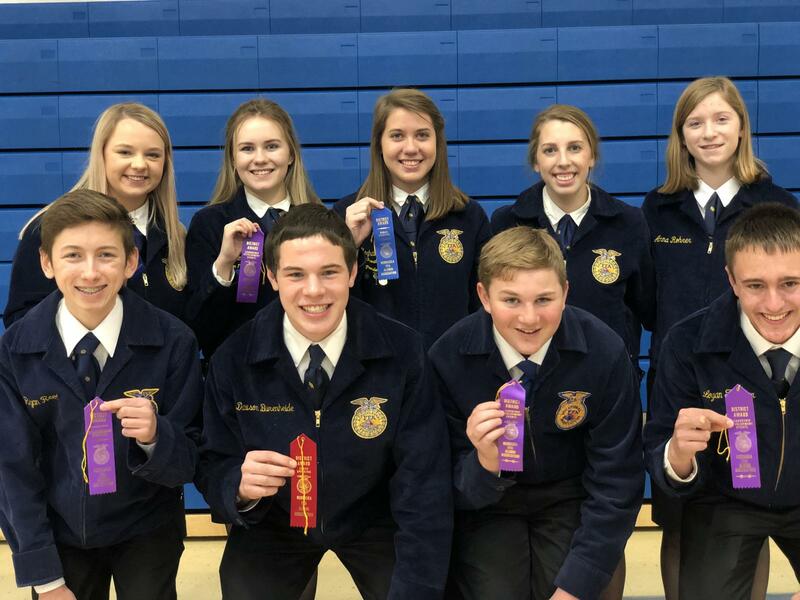 Competitions that the Norris members competed in were creed speaking, senior public speaking, extemporaneous speaking, employment skills, ag demonstrations, conduct of chapter meetings and parliamentary procedure. Many students place in these competitions. In creed speaking, Noah Helmink placed third and Logan Thurber placed fourth. Dawson Burenheide also competed in the creed competition. For extemporaneous speaking, Noah Niemeyer placed second and qualified for state, and Anna Rohrer placed third. In employment skills, Olivia Lentfer placed third, and Libbie Bowman also competed. In Senior public speaking, Meghan Essink received a blue, and Caitlyn Harvey also competed. Two first place groups will continue on and compete at state. The two groups that placed first was the conduct of chapter meetings and parliamentary procedure teams. Members in conduct of chapter meetings were Dawson Burenheide, Logan Thurber, Noah Niemeyer, Noah Helmink, Anna Rohrer, Elizabeth Rohrer and Levi Hafer. Members on the parliamentary procedure group were Sage Ehlers, Cagney Ehlers, Hunter DeBoer, Bella Suto, Chris Head,and Shelbie Ritnour. Norris also had two teams compete in agricultural demonstration. One team presented on food safety and received 4th place. These team members included Kylie Gana, Jenae Tilford, Olivia Lentfer, and Makenna Kirchhoff. Carter Burenheide, Carter Rohrer, Daniel Oldemeyer, and Tim Kisling also competed in the demonstration competition, giving a talk on a sickle mower. 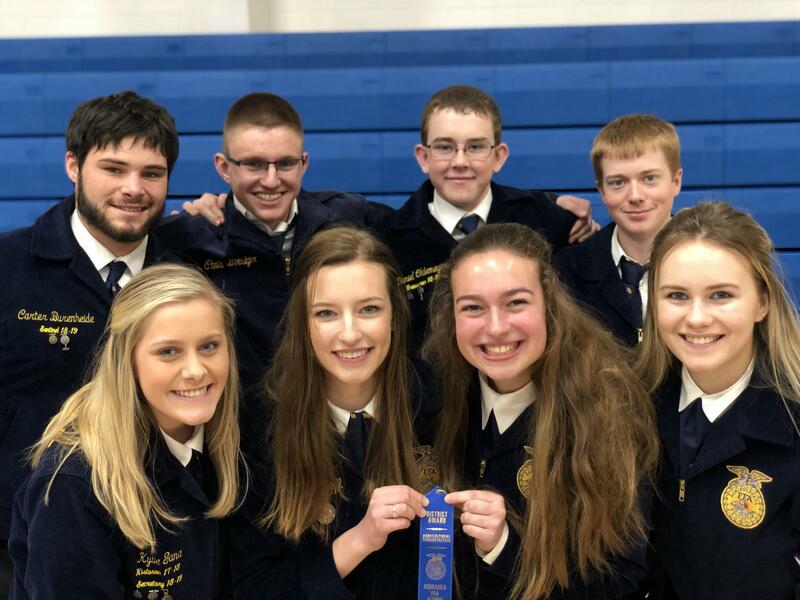 The parliamentary procedure and conduct of chapter meetings teams and Noah Niemeyer will compete in the State FFA Convention held in Lincoln April 3-5.